A new free tool to build QSAR models. QSARpy v1.0 is a tool to develop quantitative models based on dissimilarity. QSARpy is an evolution of SARpy. It breaks the molecules of the training set and extracts modulators, fragments associated to a difference in the property/activity value. 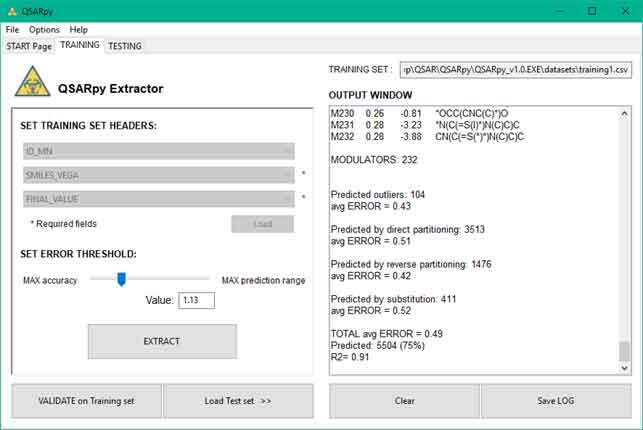 First, QSARpy verifies if the molecule to predict and one of the molecules of the training set share part of the structure, and one or more modulators can explain the differences between them. 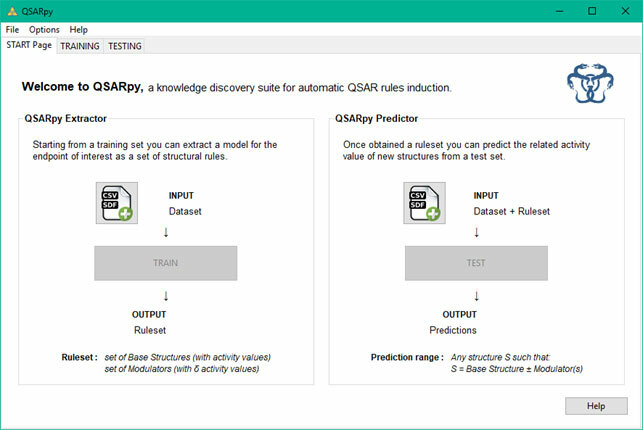 Then, QSARpy calculates the property/activity for the target adding the modulator(s) value to the value associate to the training set molecule. 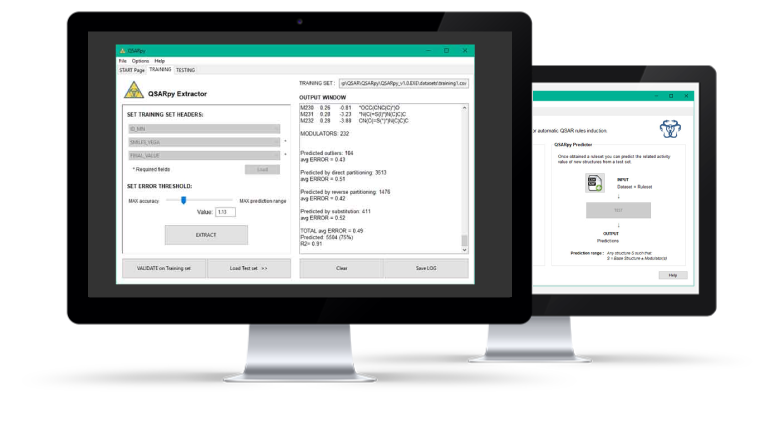 QSARpy is NOW available to download. The software is available for Windows. A Linux version coming soon.